Six months ago we printed 50 jerseys with the intention to treat them differently than just another t-shirt. The idea was simple, a shirt that was earned, not bought. 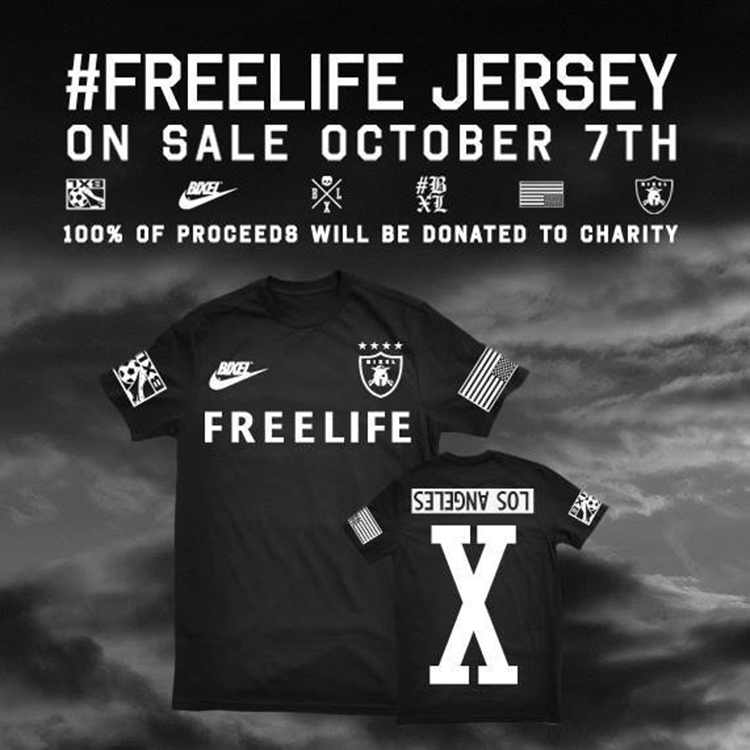 Across the chest reads our motto, #FREELIFE; a term loose in definition but strong in conviction that, to us, stands for ‘Being yourself no-matter what.’ We began by giving it to people we respected, DJ peers like Skrillex, Dillon Francis, Martin Garrix, and larger than life characters like Lil’ Jon and tastemakers across the US. The ensuing demand from fans was humbling, and while we could have turned a profit by selling them we knew the shirts’ value wasn’t a monetary currency but a social currency. Instead, we held a draft, we asked the those who wanted a jersey to describe what ‘Living Free meant to them’ and what we got back was astonishing. Hundreds and hundreds of submissions from aspiring musicians, firefighters, the formerly paralyzed and chemotherapy patients all identified under our #FREELIFE mantra. Of the hundreds of applicants we selected ten, awarded them a jersey, and shared their heroic stories with our fans. Now we’ve reached the final chapter of this campaign. We’re finally going to make these jerseys available for purchase, however 100% of the proceeds will be given to Camp Kesem, a student run non-profit organization that raises money to send children whose parents have been affected by cancer to a free week of summer camp. For those who have wanted this jersey, and wanted to represent what it stands for, this is their chance; and we hope through this campaign we’ve been able to spread a culture of positivity and serve those who deserve it. Jersey’s will only be on sale for 3 weeks and will not be sold ever again. Click here to opt in to buy the jersey.